The animated series followed the same formula as the HBO original live-action series, including the same theme song but arranged by Margaret Loesch. Many episodes consisted of two 15-minute stories; however, a few presented a single full 30-minute plot. The animated version carried on the tradition of original songs, with at least one tune per episode (including a few recycled from the puppet version, such as “Let Me Be Your Song”). In its original run, the animated episodes were book-ended by footage of the original puppet version of Uncle Traveling Matt, introducing the show from Doc’s workshop. 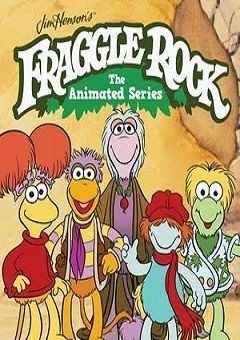 The animated version of Fraggle Rock was cancelled after only one season (13 episodes). The most noticeable difference is that unlike the live-action version, the animated version of Doc is shown from the neck down, much like Nanny on Muppet Babies.